*The objective of this research project is to create a robust, easy-to-connect prototyping system for embedded products that can be used with a variety of sensors and the Arduino family of microcontroller boards. 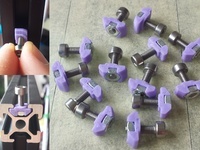 *The two STL files provided are used for 3D printing the main platform and the modules. 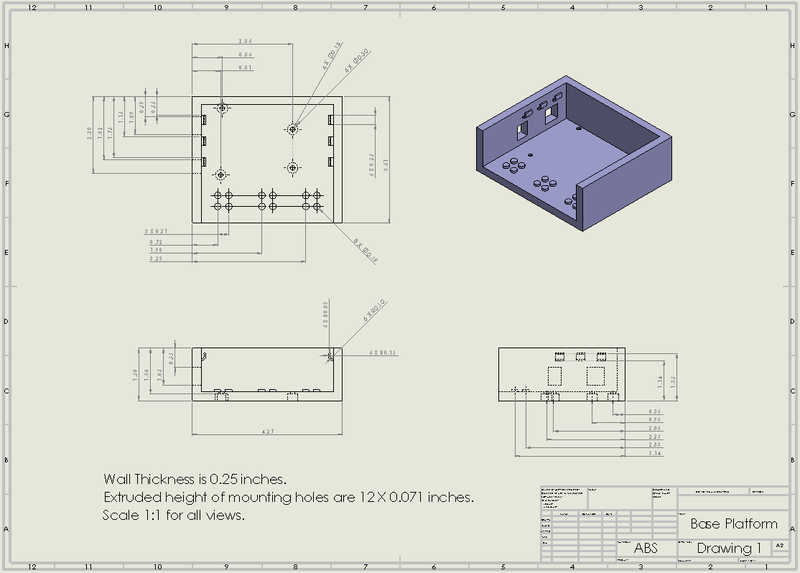 *The main platform has holes for an Arduino Uno microcontroller to be mounted onto it. 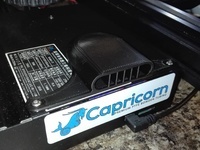 There are also slots in the side of the main platform that allow the USB port and barrel jack to be exposed, which will allow code to be easily uploaded to the Arduino Uno's microcontroller without unscrewing and removing the board. *Up to three modules can fit inside the platform. The modules are used to hold small ProtoBoards (1 x 1 inch) that are meant to have sensors and wires soldered to them. *Even with three modules attached to the platform, there is space for a mini breadboard. This breadboard gives space for additional resistors, LEDs, and ICs that are not included within the modules to be used for a prototype. *The use of the 'Mod Duino' should make a prototype much more portable, without having to worry about connections of sensors or wiring to become disrupted. The main platform was printed in the traditional orientation, with the bottom of the part on the base plate. The modules were printed in an upside down orientation. This was one so that the extruded holes were printed with precision (when the part was printed on its side the holes did not come out very well). 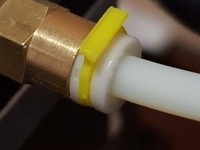 This orientation was also used so that the limited amount of support material used to build the connector section of the module could be more easily removed without affecting the connector feature. 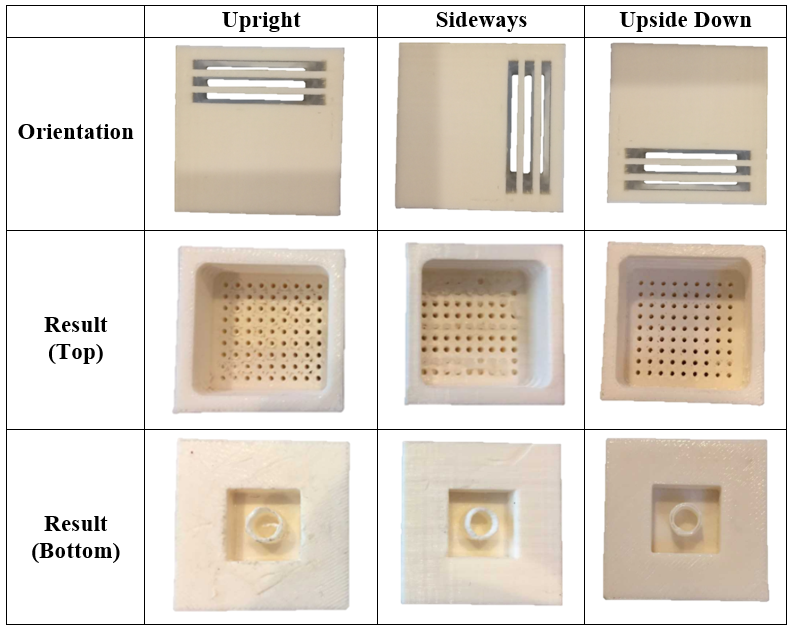 The results from 3D printing the modules in different orientations, the drawings for the modules, and the drawings for the main platform are also shown in Figures 11, 12, and 13 at the bottom of the page. Once the base platform and the three modules were printed, the ‘Mod Duino’ can be assembled. The first step of the assembly is to solder the necessary sensors and wires onto the ProtoBoards. The setup used for soldering and the soldering of the sensors to the ProtoBoards (without wires) is shown in Figures 1 and 2, respectively. Once the soldering is complete, the ProtoBoards are inserted into the top section of the modules. 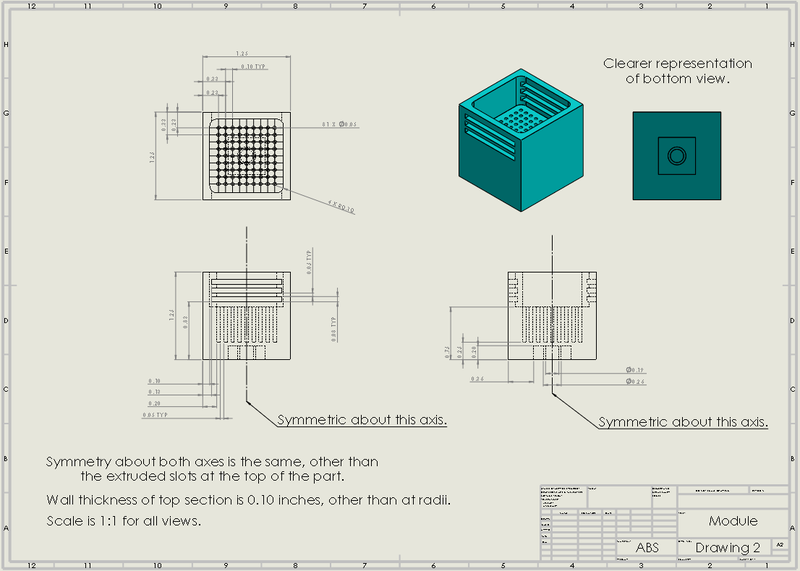 The completed modules are shown below in Figure 3. The wires that are soldered to the boards are inserted through one of the slots on the side of the each module. After the modules have been assembled, the Arduino Uno is mounted to the main platform of the ‘Mod Duino’ with screws and nuts smaller than 1/8 of an inch, which is the diameter of the mounting holes on the Arduino board. Two strips of Velcro with sticky backsides were also added to the main platform and the bottom of the bare breadboard. The Velcro was used, instead of permanently mounting the breadboard onto the main platform, so that the breadboard could easily be detached and reattached to the platform. This will make it easier for components like resistors and LEDs to be placed onto the breadboard during the prototyping process. The breadboard used is a sawed in half (using a vertical band saw) Mini Modular Breadboard from Sparkfun. The mounted Arduino board and the Velcro used to connect the bare breadboard to the main platform are shown in Figure 4. The breadboard was cut in half to fit inside the allowable space without affecting the buses that create an electrical connection within each of the seventeen columns (rows in the configuration of Figure 4). After the cut breadboard was attached to the main platform, three wires were used to connect the breadboard to the 3.3 volt, 5 volt, and ground pins of the Arduino Uno board (shown in Figure 5). These connections were made to create two power buses (3.3 V and 5 V) and one ground bus on the bare platform. These buses give more space for power and ground connections while prototyping. Now that the assembly of the main platform and modules is complete, the two components of the ‘Mod Duino’ can come together. The modules are mounted onto the main platform in the configuration shown in Figure 6. This figure gives four different views of the ‘Mod Duino’ final assembly. In this configuration, only the LED module is connected to the breadboard. The module housing the microphone and temperature sensor are not connected to the breadboard, so the wires connected to these modules are held to the side by the hooks on the walls of the base platform. This was done in an effort to keep things within the ‘Mod Duino’ organized. Once the assembly mimics that of Figure 6, the ‘Mod Duino” is ready for use. As discussed in previous sections, any type of sensor(s) that is needed for a prototype can be used within the module(s). Additionally, more than one sensor module can be used (via connection to the breadboard) for a given prototyping project. After the final assembly of the ‘Mod Duino’ was completed, testing began by verifying that one of the modules could be used to successfully run a program. The example code “Blink” provided by Arduino was used for this verification. The code for this program can be found on the Arduino programming software by navigating through File/Example/0.1Basics/Blink. The circuit configuration and schematic used to run this program is shown in Figure 6. In order for the code to succesfully be uploaded to the Arduino microcontroller, it is important to check that the correct board and port are selected under the “Tools” tab. The result of running the “Blink” program using the ‘Mod Duino’ is shown in Figure 7. The red light emitting from the sensors in the illustration indicates that the program was able to be run successfully. Uploading and running this code was used as a test case, and its success resulted in the assumption that prototypes involving all the other sensor modules would work as well. One crucial portion of a design project involves the design and build of a prototype. Prototypes are advantageous because they help to reduce a project’s time and cost, identify and address problems early on in the design process, and increase user involvement by confirming a common vision among users and developers. These factors all contribute to delivering a better quality final product. Embedded electromechanical prototypes use programmed electronics and a mechanical device to perform a specific function. Microcontrollers are small computers on integrated circuits that are often used to control the electronics of these embedded prototypes. One set of problems with these prototypes is that the breadboard circuitry can easily become messy and the connections between sensors/actuators and the microcontroller are not reliable.  These factors make it difficult to troubleshoot the prototype when a wire accidentally gets disconnected and also makes it difficult to create a portable prototype. There are not many existing products that focus heavily on the integrity of the connections between the main prototyping platform, such as an Arduino microcontroller, and the sensors and actuators used to create the operational portion of the prototype. Previous research indicates that one line of products, the Tibbo Project Systems, focus on robust connections. However, the Tibbo products are complicated to use and are not open source. The widespread popularity and ease of use of the Arduino microcontroller for these simple electromechanical applications make it a perfect candidate for use in a comparable platform. 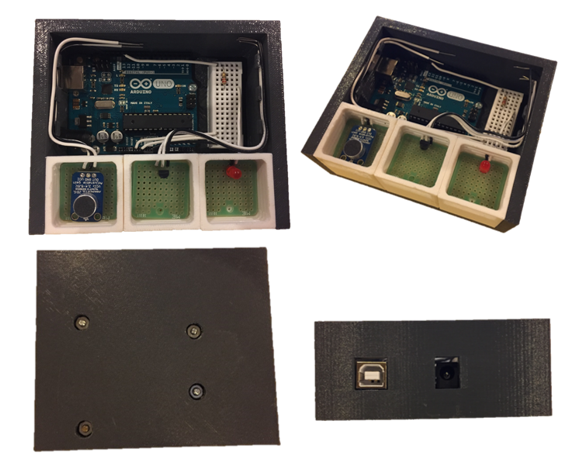 The objective of this research project is to create a robust, easy-to-connect prototyping system for embedded products that can be used with a variety of sensors and the Arduino Uno microcontroller board. The product is expected to form a rigid and clean looking platform that provides a reliable connection between the Arduino and any number of additional modules needed to complete an embedded electromechanical prototype. There has recently been an uptick in activity among the DIY, Maker, and Hacker communities. These inventors, engineers, and designers work to create products that will benefit themselves or others by collecting information, displaying that information, and sometimes acting on the information. Constructing a prototype is a critical part of the design process used to create a new product. Prototyping is important because it helps to reduce time and cost, identify and address problems early on, confirm a common vision among users and developers, and help the designer deliver a better quality system . Currently, once a member of these communities takes his/her ideas to the prototyping phase, they often times start wiring sensors and actuators to a microcontroller. Unfortunately, many of these prototypes are unorganized and are not easily replicated. It is often difficult to house a microcontroller, breadboard, and an assortment of sensors and actuators in a way that is both aesthetically pleasing and functional (Figure 8). As a result, members of these communities have difficulty creating prototypes that are structurally stable enough to be transported. These complexities create a gap in the market for a modular prototyping platform, which would allow for easy and reliable connection between the microcontroller and sensors that are needed for a particular prototype. The goal is to create an integrated style product, deemed the ‘Mod Duino,’ that will bridge this gap by securing modules (which hold sensors) to a main board that houses the microcontroller. The Tibbo Project System shown below in Figure 9 can be used to quickly move through the prototyping process to produce a wide range of presentable projects. The system “features an almost bare board powered by Texas Instruments Sitara processor, and a large area for Tibbit blocks to add features as needed, as well as an enclosure” .Tibbo does a great job of providing customers with the ability to choose from a wide variety of Tibbit blocks that include components such as sensors, actuators, power supplies, and USB ports. These blocks can be rigidly attached to the bare board to quickly put together a sturdy and reliable prototype that looks good enough to present. 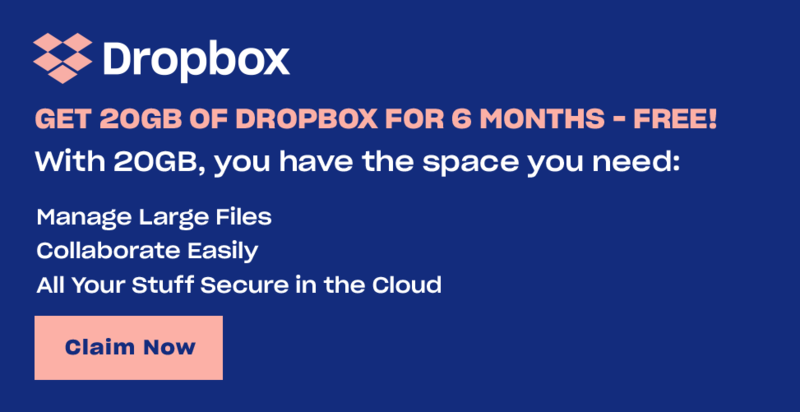 The company also offers bare boards of different sizes, gives you the option of creating a custom board before purchasing, and gives the option of enclosing the entire platform in a box for additional protection. There is one existing product that has distinct advantages which will be implemented in the ‘Mod Duino.’ This platform is the Tibbo Project System. As described in the previous section, the Tibbo has the advantage of creating reliable connections between modules and the microprocessor and providing a clean and professional final presentation, which are some of the primary goals of this research. However, one of the major disadvantages of the Tibbo Project Systems is that they run off TiOS, which not many people are familiar with. Arduino has its own open source coding program, which many more (even inexperienced) engineers have been exposed to. The products Tibbo offers are also relatively expensive, in the range of a couple hundred USD. Tibbo also offers a wide range of modules that include an assortment of components, which would typically be a benefit. The problem is that implementing these modules can easily be confusing for a hobbyist. The modules provided by this company are so advanced that it would take a well-trained electrical engineer to understand and use them effectively. The Tibbo products may work better on the industrial level, but hobbyist and young engineers are much more likely to have an understanding of a basic microcontroller like an Arduino. Creating a system that incorporates an Arduino board would be much more useful for a beginner looking to gain experience with prototyping. Arduino offers a range of microcontrollers that are in the thirty to fifty dollar range and are much more common in the United States when compared to the Tibbo Project System. The Arduino family of microcontrollers is also considered to be basic, even for beginners, which means individuals of all experience levels can enjoy the ‘Mod Duino.’ Out of the Arduino family of microcontrollers, the Uno is decidedly the most popular. Due to this fact, the ‘Mod Duino’ will be made to fit this specific microcontroller so that it can meet the needs of the largest number of people. The ‘Mod Duino’ will expand the microcontroller’s prototyping capabilities by adding some of the connectivity features that are so successful in the Tibbo Project System. A wide range of prototyping projects are able to be completed with the ‘Mod Duino,’ because the user should be able to use multiple modules at one time and write unique code to control these modules. 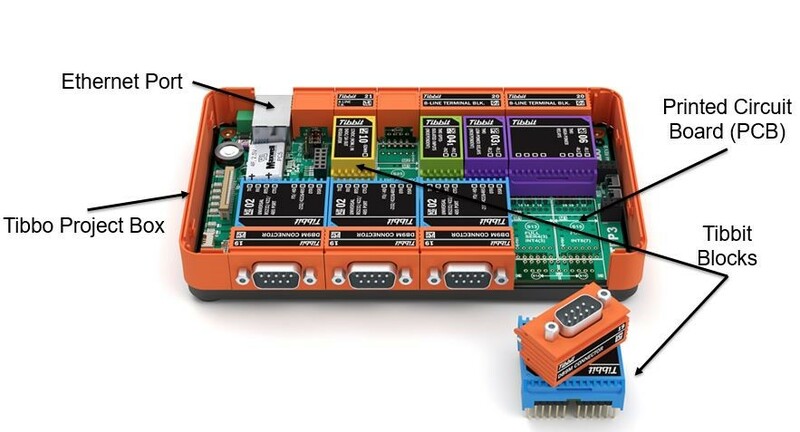 Connecting more than one module to the base platform can be beneficial, especially in larger projects that need to include an array of sensors and actuators. 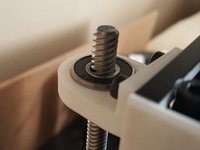 The main goal of the product is simplicity through organization on the hardware side of prototyping. The sleek, finished look of the modules and the easy and smooth connection between the modules and the base delivers this simplicity. This solves a common problem in the current prototyping area by making the physical connection between a microcontroller and its sensors/actuators easy, reliable, and aesthetically pleasing. All the components and wiring will neatly be enclosed in the casing of the main board. The purpose of this research is to create a system that can ensure a clean and reliable connection between an Arduino Uno microcontroller and its compatible sensors that might be used in a prototype. This is significant because often times, the wiring used in “low-end” prototyping projects become disconnected, causing them not to work properly. Ensuring these connections will allow the less experienced engineer to spend more time gaining knowledge of different types of sensors, instead of unnecessarily spending time trouble shooting their device. A rigid system would also lead to a better looking prototype, because there will not be any loose or tangled wires. This is important because an aesthetically appealing prototype can more easily be presented and explained than a messy one. The system will also make the prototype portable, which is a challenge for current prototypes that have floating breadboards and microcontrollers that are solely connected by unsoldered wires.